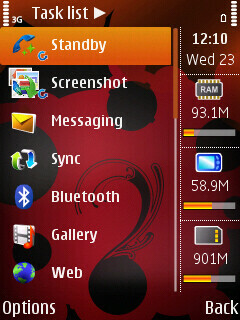 Nokia has released a firmware update for its N82 model. In order to get it you have to download the latest version of the “Software Update” application (available here) and then follow the standard procedure. This 11.0.117 firmware is the first one to use the User Data Preservation, which keeps everything on your cell the way it is (applications, contacts, text messages and themes) after the update. People who have already updated report that there is more free RAM memory on startup, but unfortuantely the browser cannot play flash, as the N95 8GB with its latest firmware.